Quimtia Colombia was founded in 2008. We supply a wide variety of industrial sectors being supported by two Hydrogen Peroxide dilution mills, one in Medellín and another in Bogotá. They give us a competitive advantage in the distribution of this product and other products that complete the portfolio. Additionally, we participate in the Food market and in animal production sectors such as poultry among others. 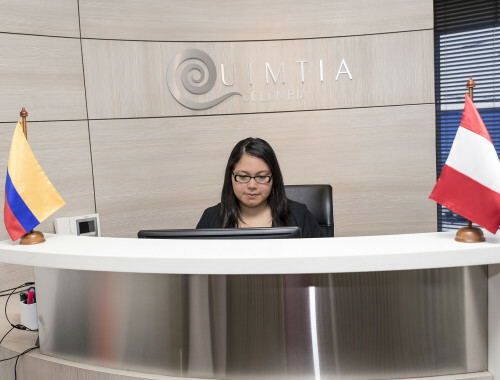 Quimtia Colombia is a constantly growing subsidiary with a professional team which guarantees the proper development of business for the company as well as for its clients and principals. We distribute more than 13,000 tons each year and exceed the 6,500 annual orders. More than 440 clients choose us. We distribute products from more than 170 suppliers. We represent 8 first class companies.